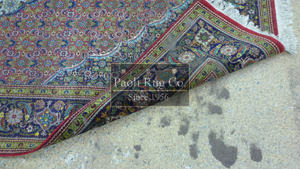 Paoli Rug Co. has a rich 60 year history in Main Line Area for restoration, repair and cleaning of Oriental rugs, antique rugs, and Specialty area rugs. 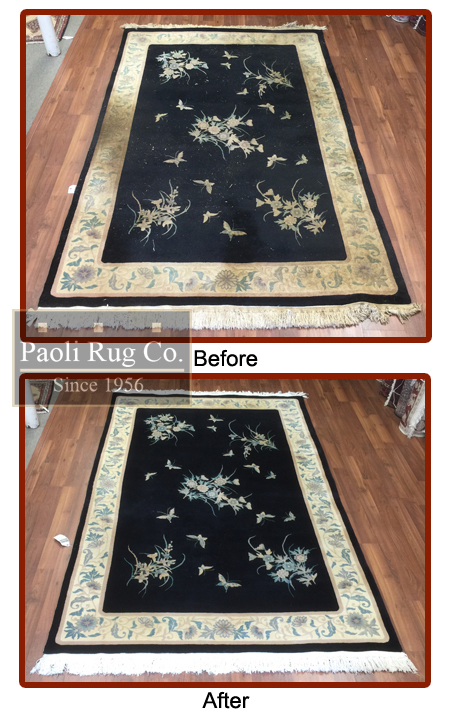 Your area rugs and fine Orientals will be in the hands of true professionals and highly trained technicians, who have worked for Paoli Rug for years, not weeks or day. 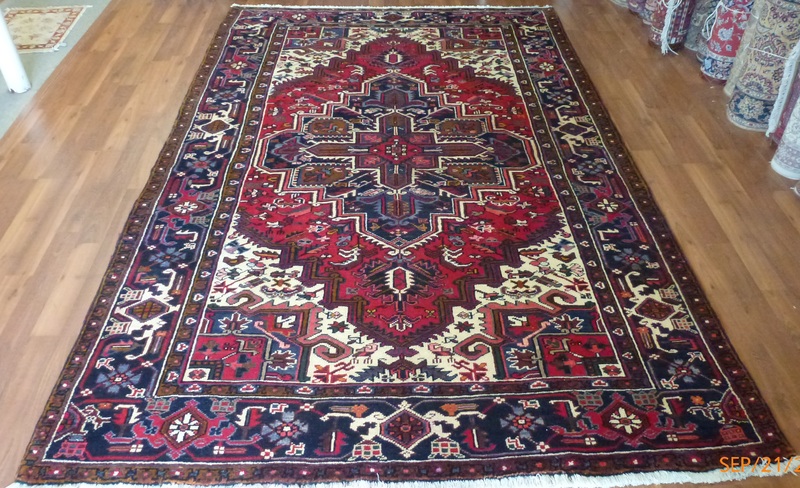 The Oriental rugs are intertwined with our family culture and we have a vast knowledge and passion for rugs. There will be no hidden charges or high pressure salesmanship. 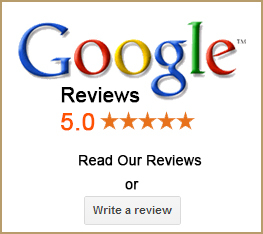 We have respect for your time. So, we schedule 30-minute time of arrivals, not hours! 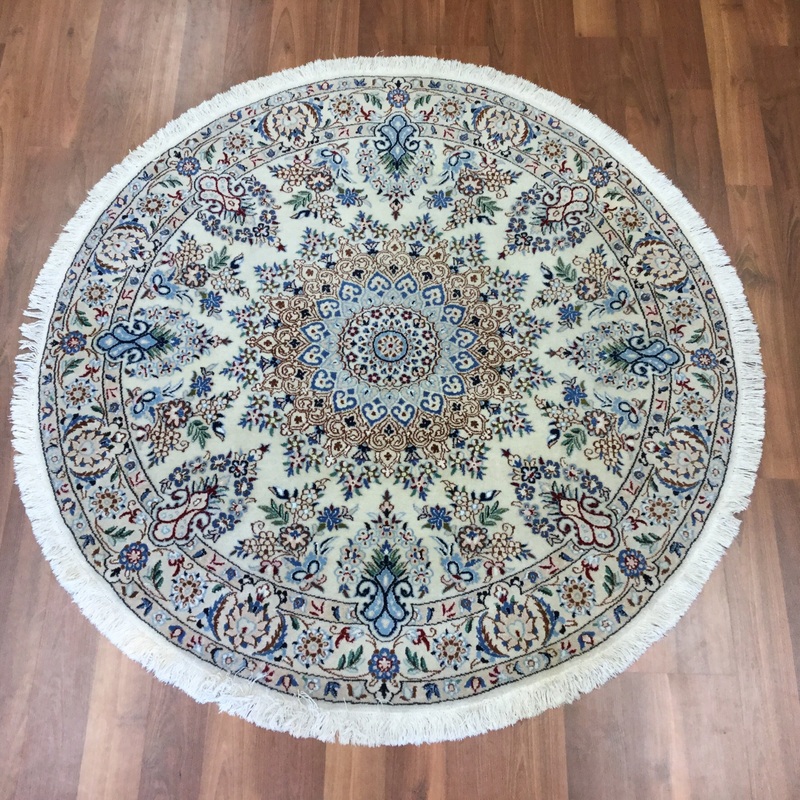 Proper care and custody of your family heirloom, Oriental or throw rug while it is in our facility. 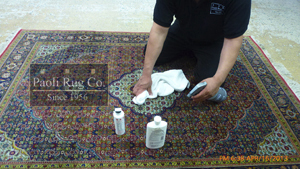 Our facility is set up properly for the process of washing and dying your rugs. Our plant is secure with alarms to protect items in our custody. 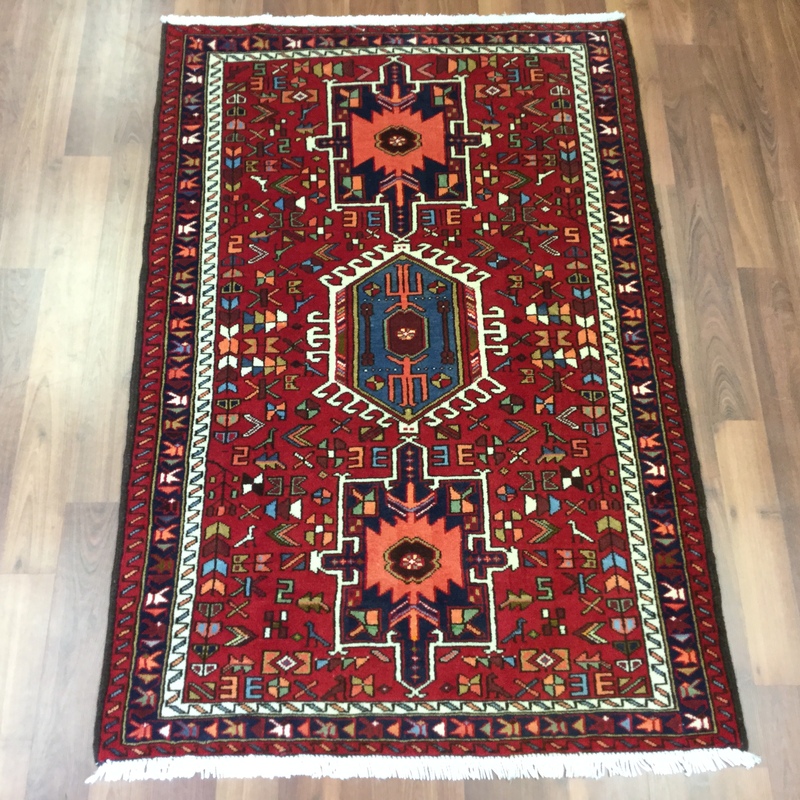 We carry the best insurance possible to make sure your rug is properly insured not only in our facility, but on transit from your home to our company, and vise versa. 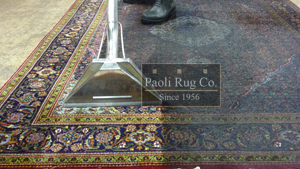 At Paoli Rug Company, we are dedicated professionals striving to meet and exceed your expectations with our attention to details and meticulous step-by-step area rug cleaning process. 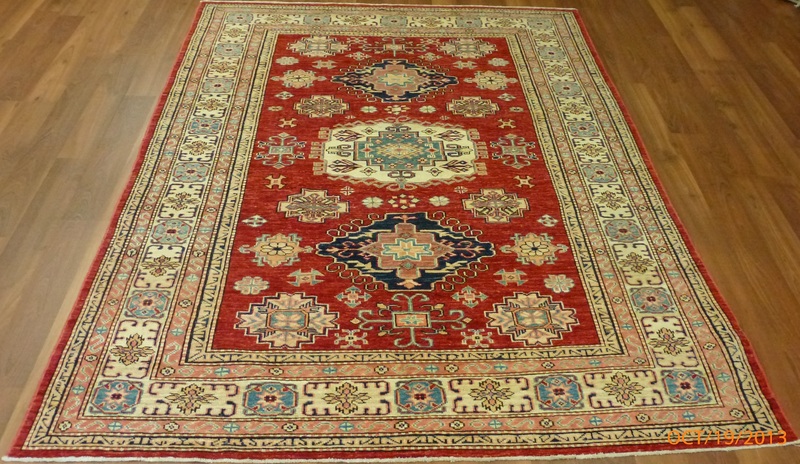 Upon pick up or arrival at our facility, a rug is rolled out, identified and measured. 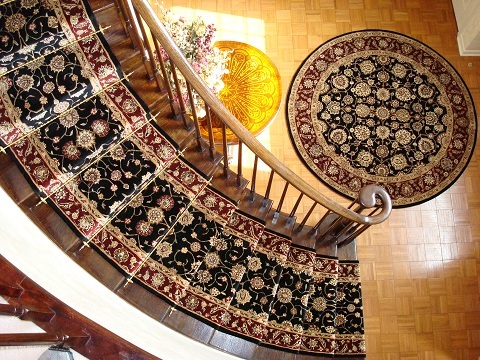 The rug is then inspected for any pre-existing conditions or problems, which will then be discussed with the client. At this time, possible solutions are offered to the client, for example; repairs, re-weaving or urine odor removal, and etc. Different cleaning options are also discussed and priced, as are other beneficial treatments that are available like moth repel, sanitizing, and etc. For Truly Healthy Cleaning – This is the most important step! The soil is food supply for allergens like dust mites, bacteria, fungus and destructive insects like moths. The rug will be vacuumed on both sides (front and back). Dusting and vacuuming remove the bulk of the larger particulate such as sand, grit and some finer debris. 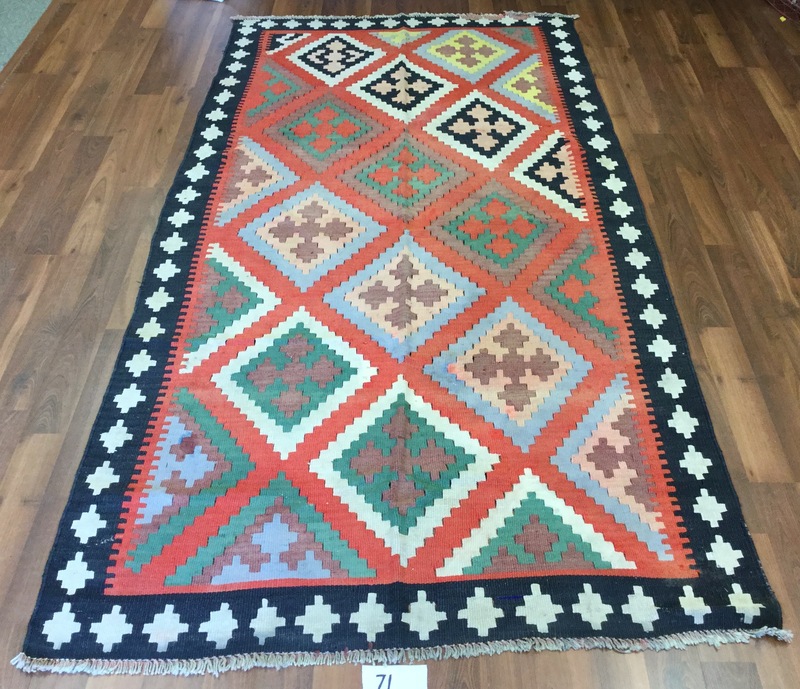 Every rug is tested for possibility of color-run, regardless of the kind. If there is a chance, we use agents to lock and prevent the dye from bleeding. 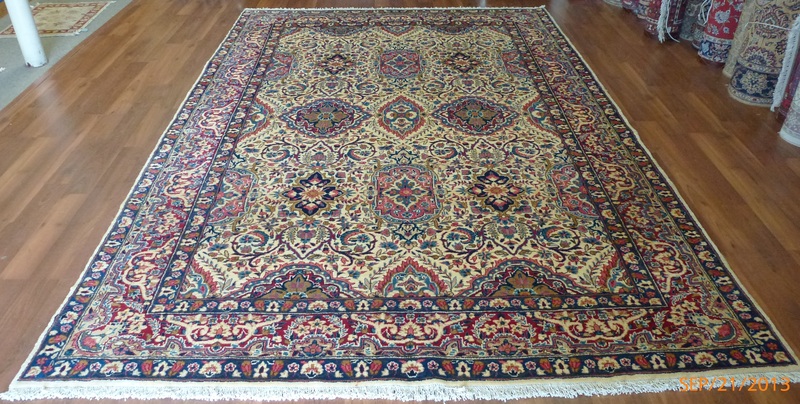 After the rug is soaked wet, Wool-safe cleaning agents are used. 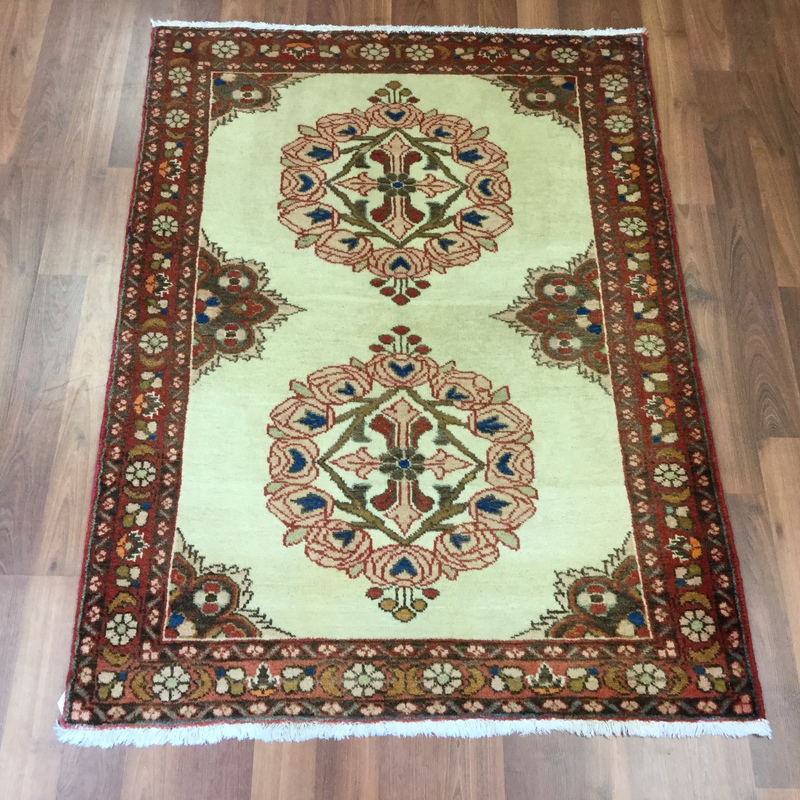 The rug is then hand brushed and flushed with cold water in order to remove stains and dirt. 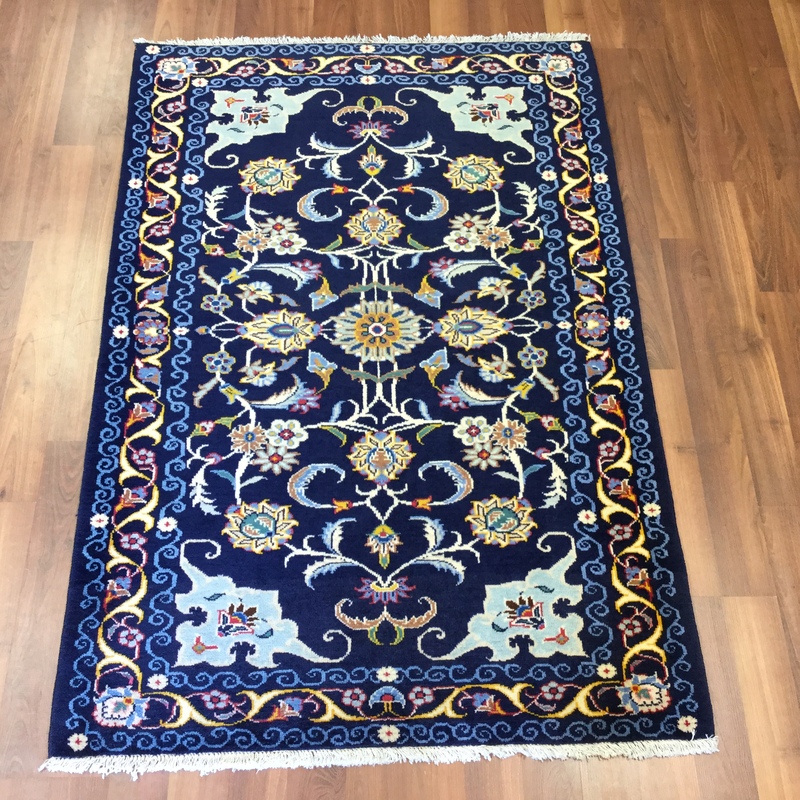 This rug cleaning process is done by hand and is repeated until we are satisfied with the results and until the water that comes out of the rug is totally clear. 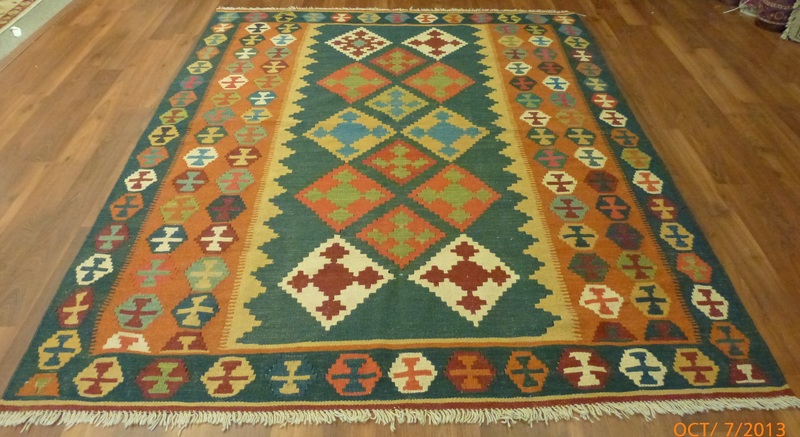 This method is the only one approved by rug weavers. The only guarantee of this odor removal is our “decontamination” soaking process, which will be done upon customer’s approval. The rug is soaked overnight in a special treatment that allows the urine to be neutralized. It is then moved to the wash floor where it goes under a sanitizing submersion wash. 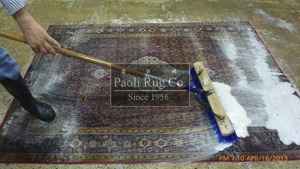 If the rug still smells, the process is repeated until the odor is eliminated. 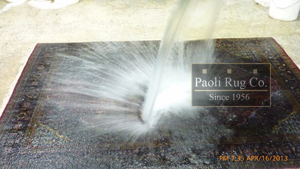 Using state-of-the-art extracting machine, we extract excess water out of the wet rug, in this phase of the process. 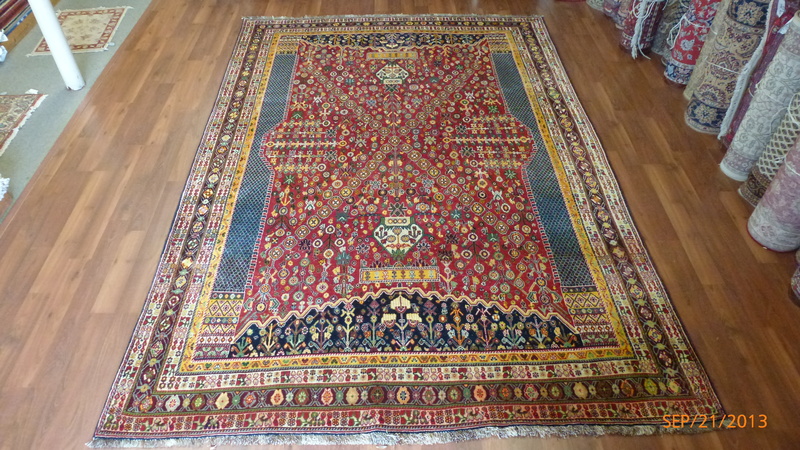 Before transferring to the drying room, the rug is brushed toward the nap, to maintain its original condition. In this step we take the rugs in to the DRYING ROOM. Our controlled drying environment, which is equipped with fans and dehumidifiers, allows for speed and efficiency to protect the rugs in process. 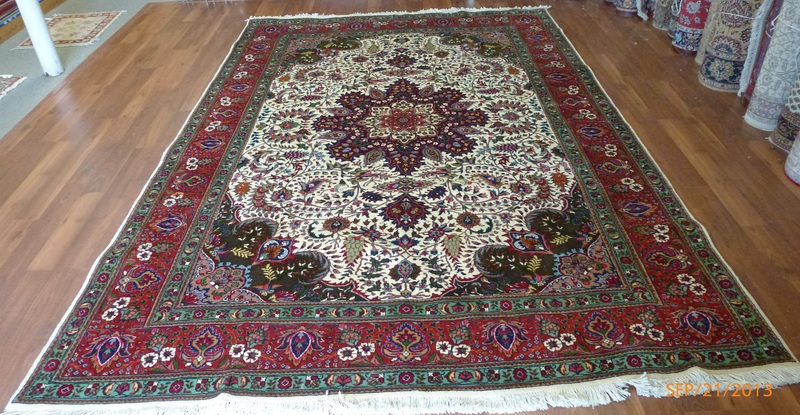 Some rugs are hung to dry while other rugs are dried flat .drying methods depend on rug type. 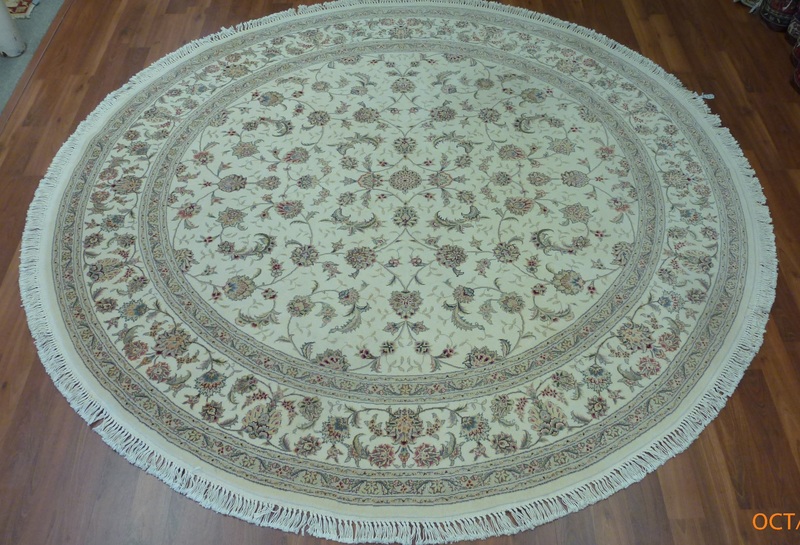 Once the rug is dry, we clean the fringes by putting the final rug cleaning touches. As the rug dries, we use combing, brushing and pile fluffing techniques for the most luxurious results. After the final step, the rug is wrapped in paper. It will then be ready to deliver to customer.